Dade County, FL — “Please take me out! I can’t take it anymore!” screamed Darren Rainey, a schizophrenic man serving time in prison for cocaine possession — as he kicked the door of the scalding hot shower repeatedly — while four guards stood just outside for fully two hours, laughing sadistically at his agonizing pain. 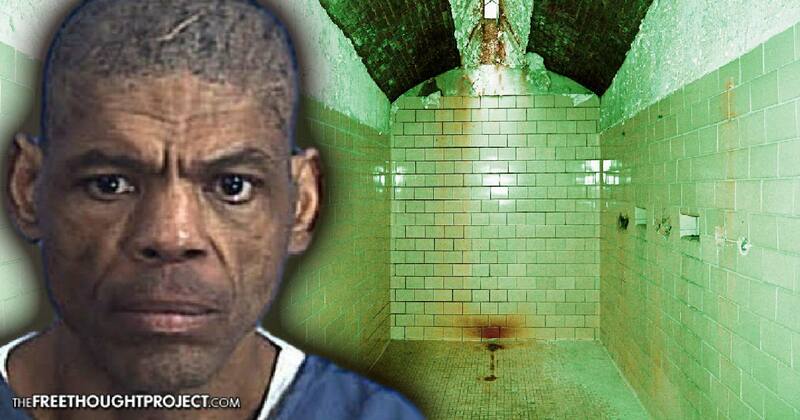 Neither John Fan Fan, Cornelius Thompson, Ronald Clarke, nor Edwina Williams — guards at Florida’s Dade Correctional Institution, who forced the man into the 180-degree shower as a demented punishment — answered the frantic pleas. “Is it hot enough?” inmates say one of the four cruelly quipped. This would, for all intents and purposes, appear to be an open-and-shut case of homicide — or perhaps manslaughter or negligent homicide — since the aforementioned are the facts of the case. For charges to be brought against the vindictive killers would be the natural course of events. But, in an iniquitous move befitting the deplorable dearth in value the system deems the lives of those in State cages, Miami-Dade State Attorney Katherine Fernandez Rundle’s office announced Friday none of the four who took it upon themselves to boil Rainey alive — and laugh about it — will face charges. “Rundle took over as Miami-Dade’s top prosecutor in the 1990s, after then-State Attorney Janet Reno left to join the Bill Clinton administration. She has remained the state attorney every since. In that time, she has never charged a Miami police officer for an on-duty shooting. Where the state attorney failed to equate searing a man’s flesh with scorching water to the point skin slipped off upon contact has investigative reporters and whistleblowers baffled. “They’re gonna cover this up,” a nurse told Harriet Krzykowski, a psychiatric technician, on the nature of Rainey’s death the morning after the fatal shower. Krzykowski, the New Yorker reported, ultimately blew the whistle about what had happened — and faced bullying, harassment, and had to seek therapy over abuses suffered by embittered prison staff. Having smeared excrement all over his body and cell on June 23, 2012, Rainey — who had a history of this behavior — was escorted by guards and told to clean up. According to testimony quoted in the state attorney’s memorandum, guards checked several times and found Rainey backed into a corner, away from the water — not bathing. That specific shower abutted a janitor’s closet, whose sink connected to a hose inserted through the wall to provide water — controls in the stall weren’t operational so guards could ensure those who refused to bathe themselves would not shut off the tap. With tiled walls and floor, a steel door with a window, a lip at the edge to prevent water running into the hall, and a single drain, the institutional shower lacked sufficient ventilation to siphon off excess steam. In January 2013, Krzykowski gained a new patient — convicted burglar, Harold Hempstead — and appalling new details about the excruciating death of Darren Rainey. Hempstead’s cell, being located directly beneath the aforementioned shower, made him captive spectator to the torture occurring above — incidentally, Rainey wasn’t the first victim of this shower torment, and Hempstead kept a diary of the names. Throughout the ordeal, Hempstead could hear Rainey shrieking to be freed. Then, he heard the man beg for forgiveness. “I can’t take it no more. I’m sorry, I won’t do it again,” Rainey cried, as Hempstead recounted in his diary. “Eventually, there was a heavy thud, followed by the voices of guards calling for medical help. A short while later, Hempstead watched as a gurney with Rainey’s naked body on it was wheeled past his cell,” the New Yorker noted. Rainey had collapsed from two hours in the squelching steam of the confined space — but he landed on top of the room’s only drain, causing water hot enough to cook ramen noodles to flood the space sufficiently to cook most of his body — boiling the man like one would a lobster until there was no struggle left. Rundle did not find this sufficient grounds to press charges — in part because she turned mostly to a fraught autopsy report “that has been roundly criticized by civil-rights advocates. The report claims Rainey was not found with burns when he died. Howard Simon, executive director of the Florida American Civil Liberties Association, has said in the past that the autopsy, which was leaked to the press during the investigation, showed that a federal investigation was needed,” the New Times notes. Additionally, Rundle’s office loudly discredited Hempstead’s diary of names as ‘inaccurate and unreliable,’ and dismissed witness accounts from other inmates as “inconsistent,” and therefore moot. This is the treatment given most often to the mentally ill and nonviolent drug offenders. This is the State laying bare the complete lack of worth it places on those unfortunate enough to be caged in its horrendously inadequate and inhumane facilities. This is the State gifting Get Out of Jail Free cards to torturers — yet another case where a badge grants impunity of steel — even when a murder is in question. This is the Injustice System of Police State, U.S.A. — and it’s literal Hell for people like Darren Rainey.